1 Lime and Soda water or Club Soda. 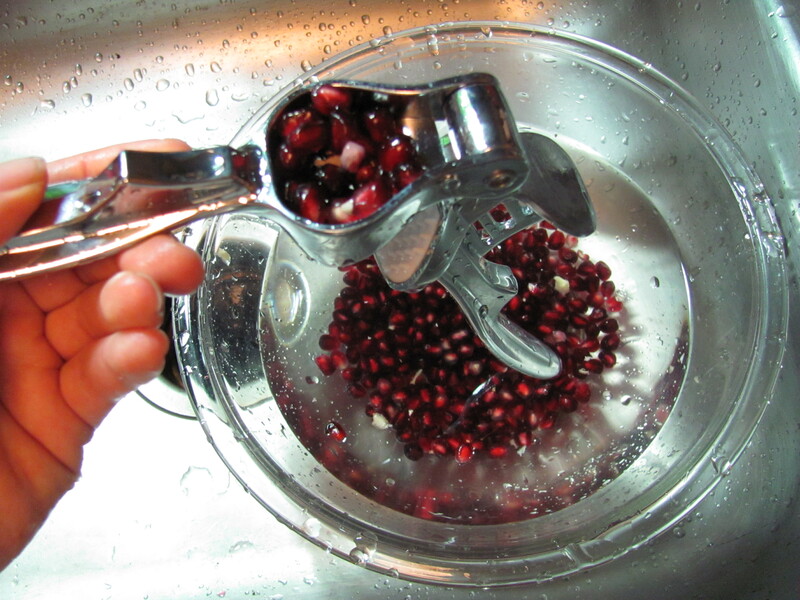 I juice half of the lime and add slices with the other half, also top with about a tablespoon of pomegranate seeds. I believe this drink is called a Pomegin if you need to look up exact measurements. 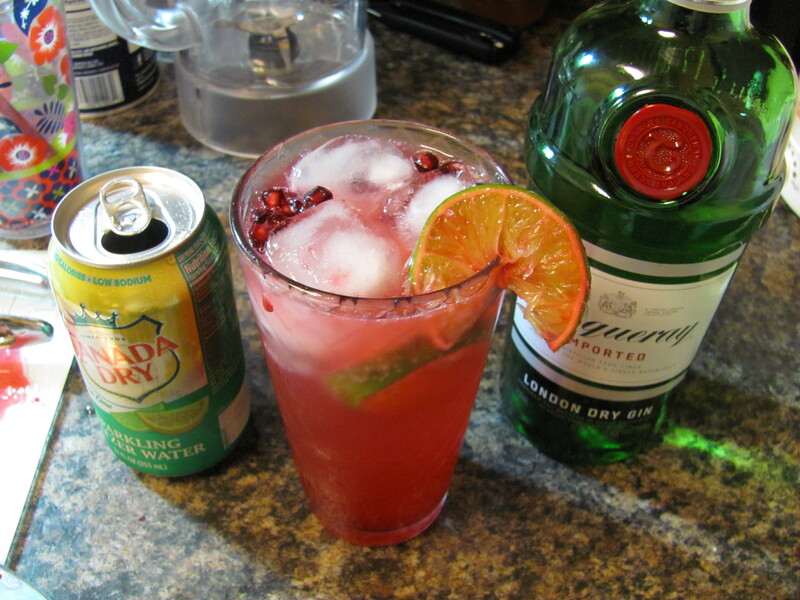 If you leave out the soda and add a little sugar you have a Pomegranate Gin Sling. I needs my drinks more watered down than that, I’m a lightweight. Add 6 spearmint leaves to a glass and cover with ice about half a glass full. Cover glass with your hand and shake ice and leaves vigorously for about 10 shakes, the leaves should be bruised and/or in pieces. Half squeeze a lime into the drink and drop the rest in, or slice it, however, I was going for simple. Add Gin and soda water, I have lemon lime unsweeted seltzer water. 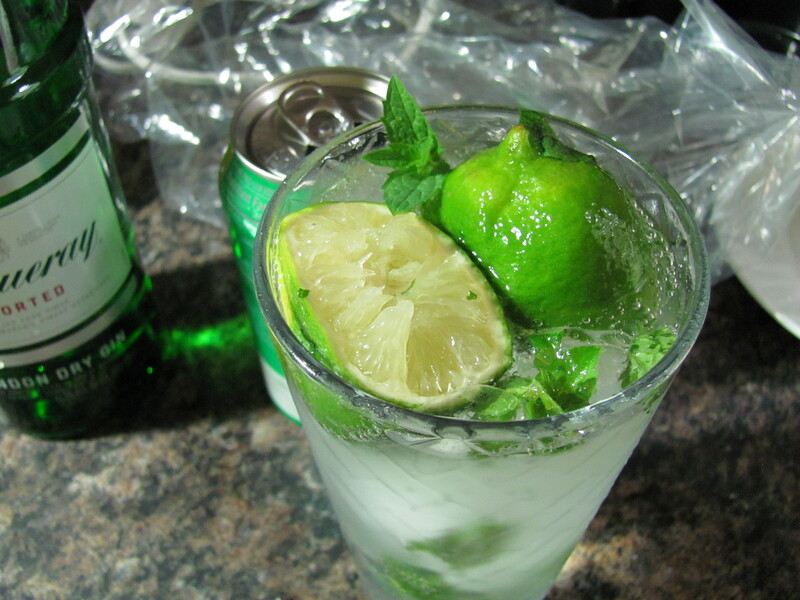 If you use Rum then you have a proper mojito, if you leave out all alcohol you have a Nojito. Traditionally Yerba Buena is used instead of spearmint, you could use other mint varieties but it is said that spearmint is a popular alternative. Lemon can also be used instead of lime. Add to blender 1 banana broken into 4 pieces(it matters for how I “measure”) and about the same volume of ice as the banana, add about the same amount of frozen fruit as the banana also. 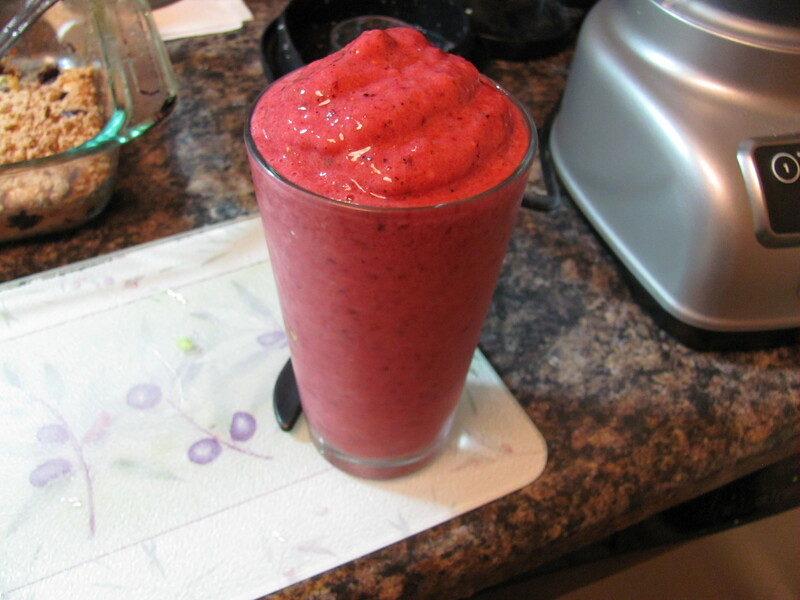 I use the triple berry frozen fruit from the market, Raspberries, Blueberries and Strawberries. It’s in the freezer aisle near the pie crusts usually. 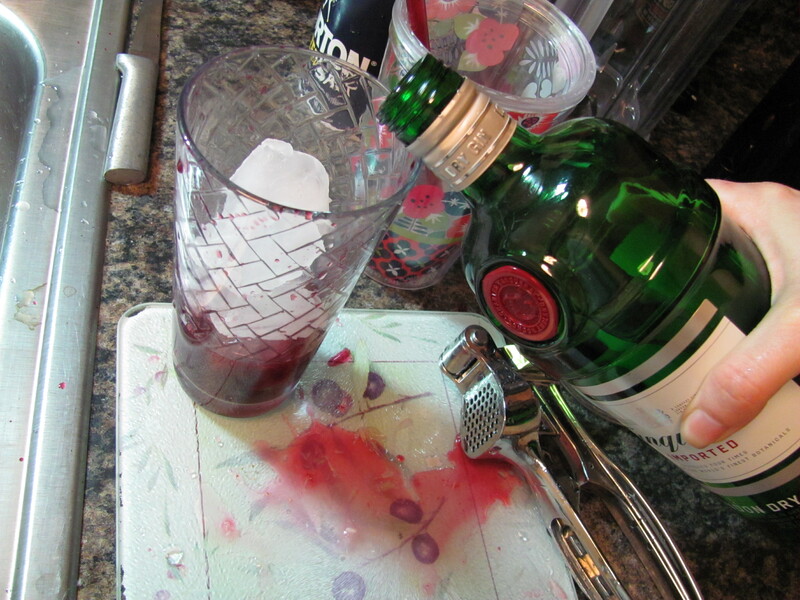 Tap the blender pitcher on the counter once or twice to settle the contents then pour in Orange juice until it is almost to the top of the ice and berries and all of that, add a shot or so of gin. Blend well. if too thick add more juice if too thin add more ice. If you use fresh fruit I recommend adding more ice. You can substitute the orange juice with something like sprite or the ice with something like Raspberry Sorbet. Consider my vacation well enjoyed.